We’re back in the lower 48. We spent the last 7 days traveling through Canada…it’s a long way from Fairbanks to Polson, Montana! Here’s the seven day itinerary…mostly between 300-400 miles per day. Most of the trip was pretty routine, as far as the roads go. The stretch between Tok and Whitehorse is the worst. Lots of frost heaves and bumpy road…if you go there, take it slowly and make sure all your stuff is secured. Our rig looked like a Law & Order crime scene when we got through that stretch...and we were trying to be careful! 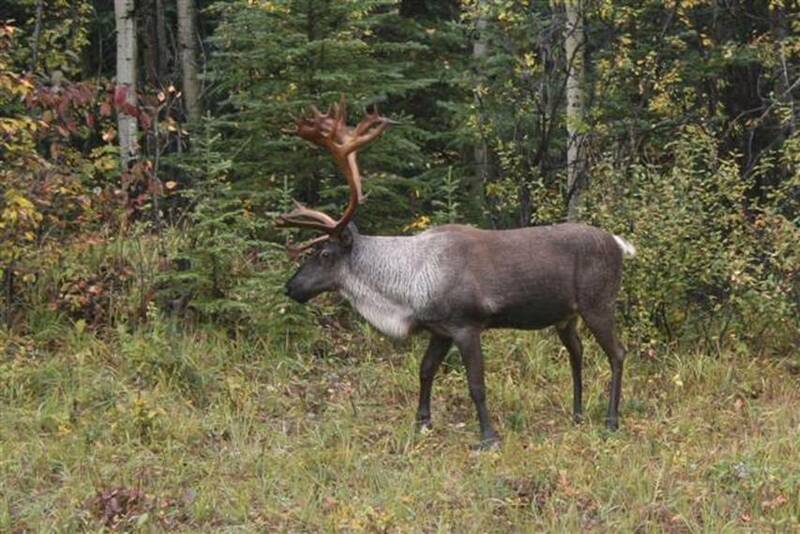 Here’s a couple of shots we took on the road…I’ve still got some shots from our Denali adventure that you have not seen yet and I’ll send them along some week when there’ s not much else happening. Probably next week since we are going to sit here and enjoy Polson for several days before we head over to Denver to spoil Coralyn. 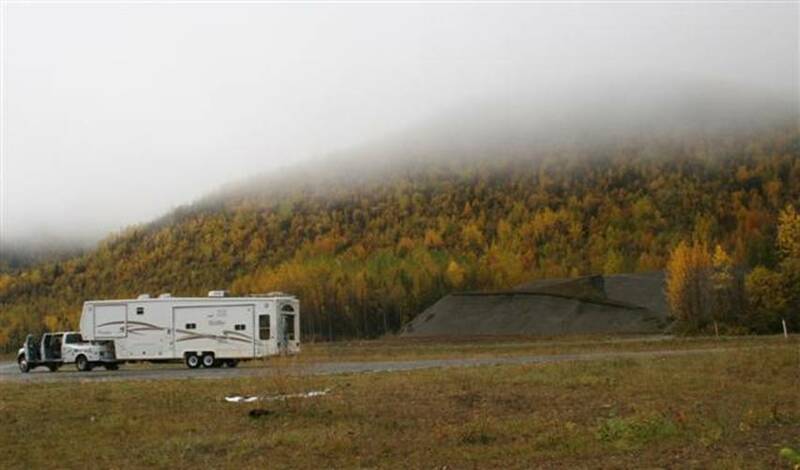 Fall colors, low clouds, and a Hitchhiker, somewhere in the Yukon Territory. 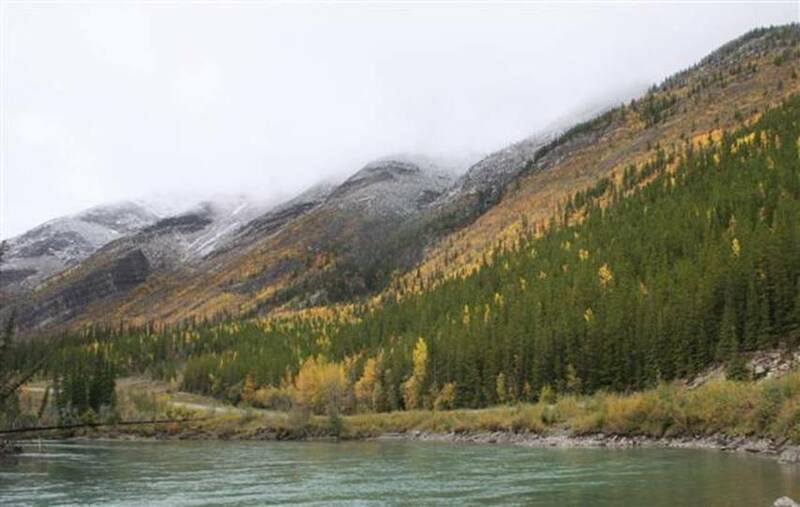 Fall colors and “termination dust” in the Yukon Territory mountains. Termination Dust is an Alaskan term referring to the first dusting of snow in the mountains. Summer is "terminated" and winter is on its way. 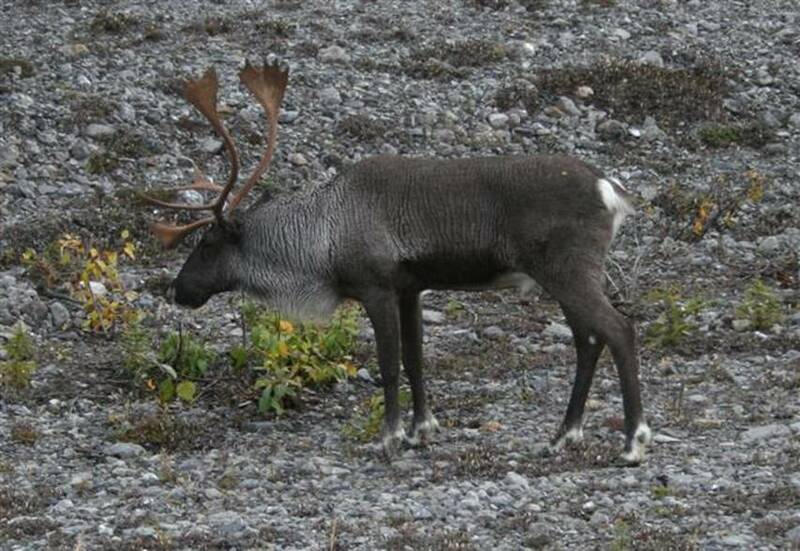 A nice caribou browses on the roadside in the Yukon Territory. As I mentioned, we’re resting in Polson, Montana, at one of our favorite RV parks, Eagle Nest. We’ll be washing clothes, cleaning up the RV, doing minor repairs, and just taking it easy. For now, the Adventure is on hold.